The beauty of the Innviertel, a small region in Upper Austria, is reflected by its beer culture in particular. The Innviertler Beer Box gives an insight into the unmistakable variety the Innviertel has to offer. 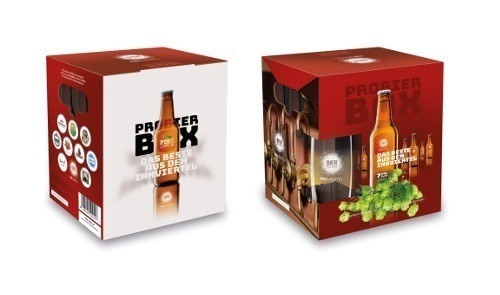 Featuring 7 different beers from the eponymous Innviertel, as well as one of our exclusive tasting glasses, this beer box is one of a kind – and a must-have for craft beer fans!